In my Mastery Class, one of the things that I ask parents to do is practice “being present” with their children. 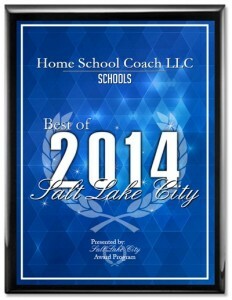 Of the Five Rules of Engagement, (effective home school teaching strategies) being present seems to be the most difficult and I get more emails about this subject than any other. It is also the rule, that when put into practice, brings me the most positive emails. Being present really does make a huge difference in a family. The trouble is that we live in a world where being present isn’t practiced much and isn’t valued in many instances. We look with admiration to those who can multitask and accomplish a long list of things each day. Because experience has shown me that being present is imperative for effective use of the Closet, as well as in a healthy and thriving family, I ask my students to begin practicing being present. 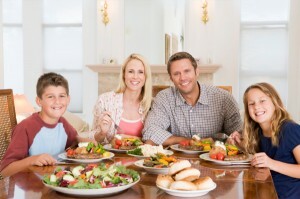 Here is a super way to practice this most important skill and in the practicing, strengthen your family: Eat together. There are other benefits to eating together. It is interesting that studies show that time spent around the dinner table can improve children’s and teen’s health. 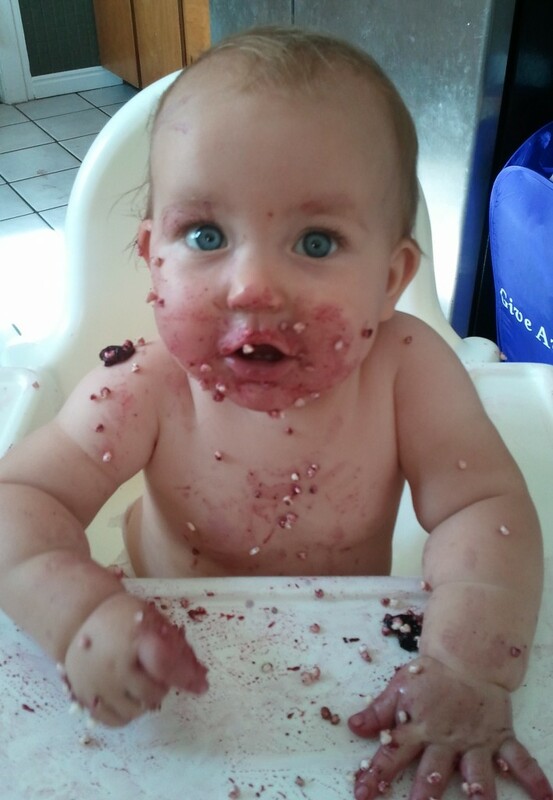 Children seem to eat a wider variety of food. They do better educationally. It improves self esteem. Studies also show that families eating together, even a couple of times a week, can reduce the risk of children and teens developing eating disorders, using drugs, smoking and drinking. It may sound difficult to gather your family around the dinner table because we are all so busy and schedules are tight, but family meals are a great way to stay connected to each other and have fun together. So find the time and make it count by staying present. Understand the importance of family time and family meals. 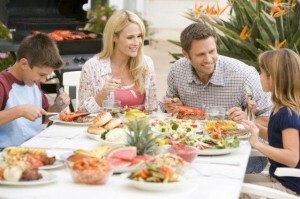 Here are some guidelines to help you be present during your family meals. * Eat at the table. Talking to one another is easier when you’re facing each other instead of sitting side by side at a counter or at TV trays in the living room. * Turn off the TV! Having the TV on negates many of the benefits of a family meal and definitely prevents you and your family from being present. * No phone calls. Turn off cell phones while at the table. Mute your land line. Even if you don’ answer the phone, the ringing alone can be a major distraction. * Have a conversation and include everyone. Keep it positive. Avoid nagging, complaining, or controlling the discussion. * To aid in conversation and to assist in making meal time a learning time and fun keep a few books handy. Talk about a book the family is reading together. Read a few paragraphs and discuss them. Look up a scripture and talk about it or memorize a scripture or quote you like. I am not even opposed to a sing along at times. Tell a joke and laugh. Talk about something that happened that day in the community or a thought you had or a person you talked with. Being present isn’t always easy. It may not always seem like your children and teens even care whether you eat together. However in a survey of more than 900 adolescents, 63 % said that eating together as a family is important and 64% agreed that sharing meals brings families closer. So begin practicing being present and eating together as a family. I know that it will make a difference in the quality of your family relationships and in your ability to be present at other times of the day. I agree that being present is hard in our current culture and so is eating together. I came from a family that ate in front of the TV or just kids together. It took me a while to get into the habit with my own family, but I´m glad I have and it is a normal part of my daughters lives. Great advise.